Boerne Air Conditioning Experts is the trusted local source for all ac replacement and repair needs in Leon Springs, TX and the surrounding areas. Your ac unit not only functions to create a cool, comfortable environment for your home or workspace, but it is also a major contributor to your indoor air quality. Everything from yard waste to pet hair can affect your system’s efficiency and the cleanliness of your air. One of most bothersome conditions is mold. Mold and other microbiological growth can start from inside the system, which means it directly impacts the air in your home. To prevent mold in the future, it’s important to ensure that your system is operating at its highest level of efficiency, and if it is not, then it might be time for a replacement. Once you’ve installed a properly functioning air conditioning system in your home, there are a few things you can do to prevent mold and mildew from affecting your indoor air. 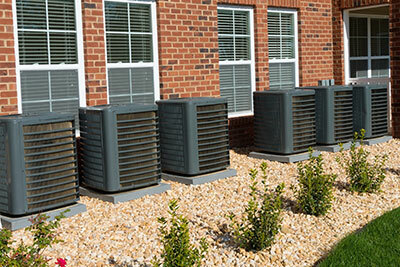 With the constant rise and fall of temperature, your ac unit itself is known to produce moisture as a byproduct. To collect water in one place, the furnace comes with a drip pan. The drip pan needs to be cleaned regularly, and overflow happens often. When left alone long enough, mold begins to grow from the pan itself. Homeowners who have a tough time controlling mildew growth should clean the drip pan more frequently. Another important factor to keep in mind is your unit’s condensate line. Condensate lines are used to safely transport excess water away from the central air system. They connect to an exterior location, far from power sources. With time, however, yard waste and other obstruction can clog these lines. It can be from dust, pet hair or leaves. Particularly when storms have passed, our technicians at Boerne Air Conditioning Experts often find condensate lines muddled. These pipelines should be cleaned in order to remove water from the furnace. Otherwise, clogging causes water to back up, another way for mildew to grow. While homeowners can easily take care of the condensate line and drip pans themselves, there are other hard-to-reach parts that should only be accessed by one of our trained professionals. 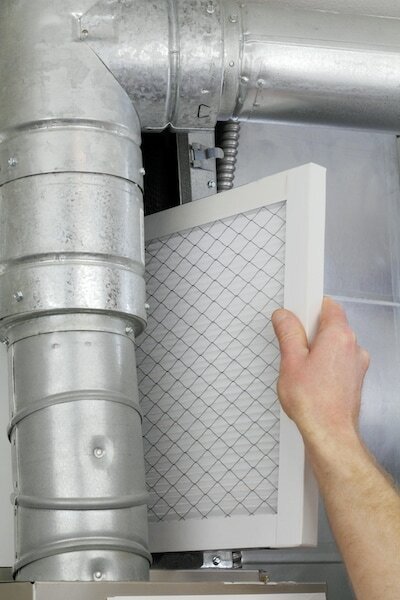 Water can coat evaporator coils, filters and fragile fins. It’s common to find evaporator coils covered in microbiological growth. For this reason, our team can come prepared with a special set of tools. During your HVAC maintenance, one of our technicians can carefully remove and clean the innermost parts of the central air system. Once complete, all microbiological growth is removed from the furnace and air conditioner, your indoor air will once again be clean and reliable. At Boerne Air Conditioning Experts, we’re happy to share additional tips that can help promote clean indoor air quality in your home. Our team can also provide information about ac replacement, and assist in narrowing down your options for choosing the best ac system for your home or business.